Since the 1920s Falcon Enamelware has been an icon of British home life. Enamelware is porcelain fused onto heavy-gauge steel, giving it many admirable qualities – durability, smoothness and chemical-resistance. It can assume brilliant, long-lasting colours, and cannot burn. If you drop it, it may chip but it won’t break. 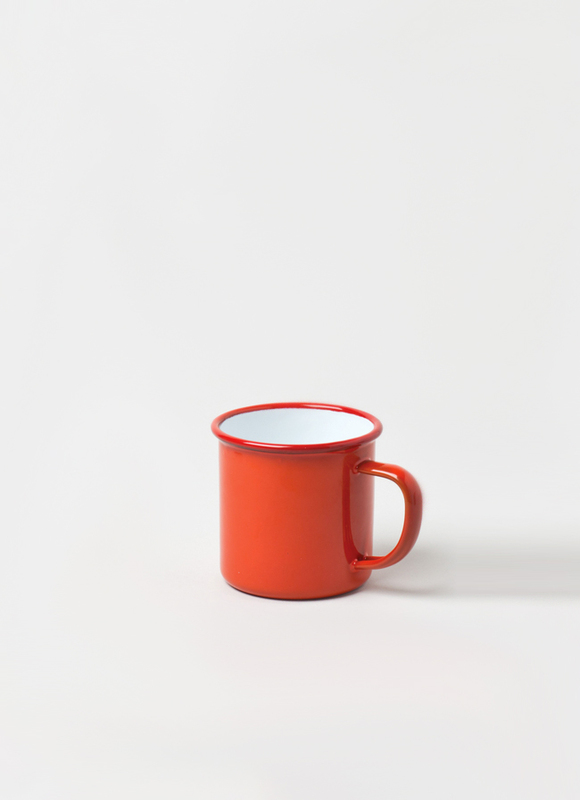 The Falcon Enamelware Mug Pillarbox Red is dishwasher-safe and oven-safe up to 530F / 270C, it can also be used on gas and electric hobs.